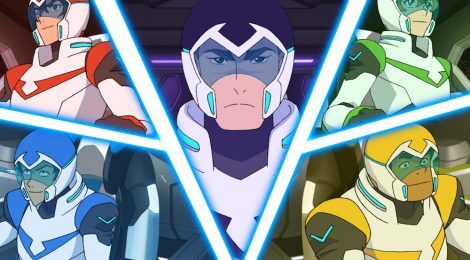 TV Review - Voltron: Legendary Defender Season Two - Honk if you love justice! If there was one thing that drove people nuts (in a good way) with season one of Voltron: Legendary Defender, it was the HUGE cliffhanger ending. Surprise allies! The lions scattered! Everything is happening! Thankfully, a second season just recently dropped that wastes no time in cleaning up the dangling threads. Season two, without spoiling too much, is fantastic. We really get a feel that Voltron truly is a defender of the whole universe with new locations and alien friends. Character development is mostly limited to Shiro, Keith and Allura which is annoying if you are invested in Pidge’s story or want to know more about Hunk, but the increased focus makes the stories more impactful. Also, I’m fairly certain that Pidge’s family will play into season three if and when it comes. I was literally on the edge of my seat during the finale battles, and though they couldn’t help themselves with a few more cliffhanger moments, there was a much more satisfying conclusion with season two. I haven’t heard anything about a renewal, but if critical response is anything to judge by, I wouldn’t be surprised if they lock it up quick.